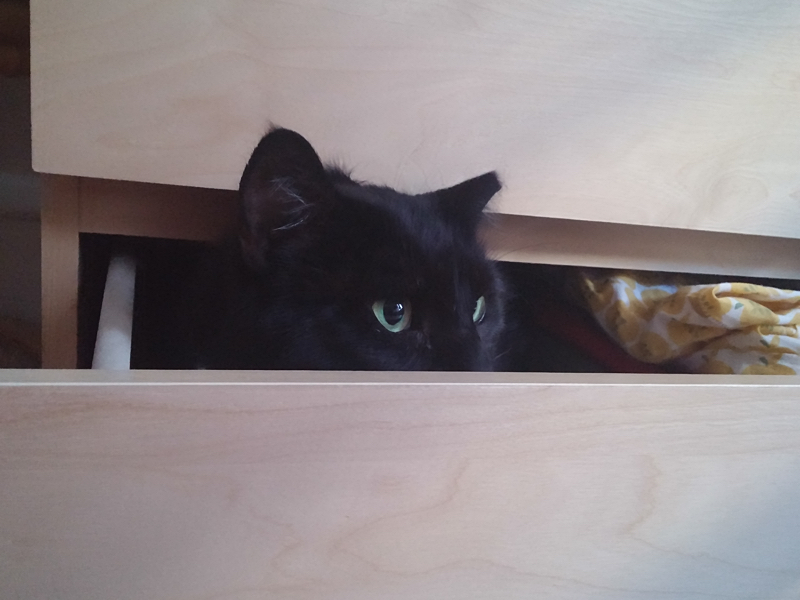 Shawn is constantly leaving the dresser drawers slightly open, and Lloyd is notorious for sneaking in there and making a mess of Shawn's "drawers". Well, someone snuck in there this time and it wasn't Lloyd! It probably doesn't help that Shawn uses shallow boxes to keep things separated within the drawers; I think it's pretty much a physical law that if there's a box somewhere, a cat will find it. Oh Sylvester is so cute! He just looks so content in there. 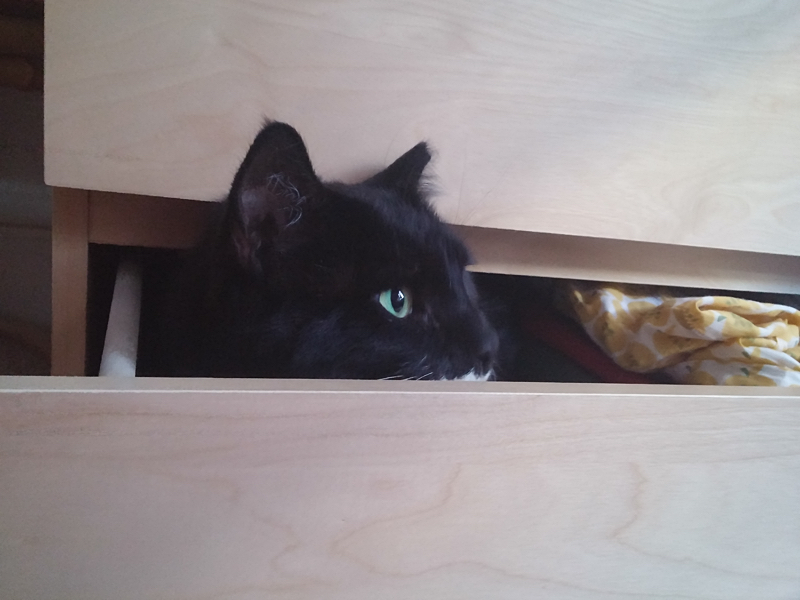 My daughter's cat, Mo, is notorious for getting into her drawers too. So darn cute! 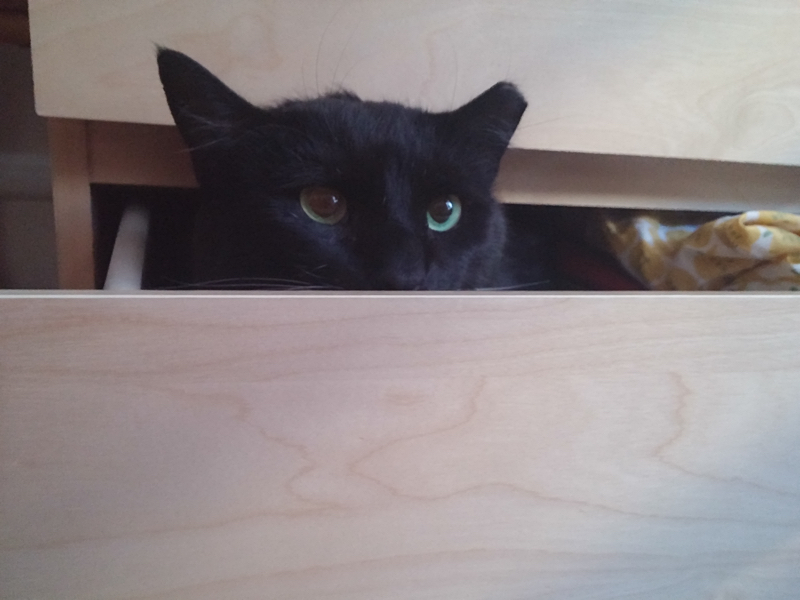 My guys love getting into drawers too. 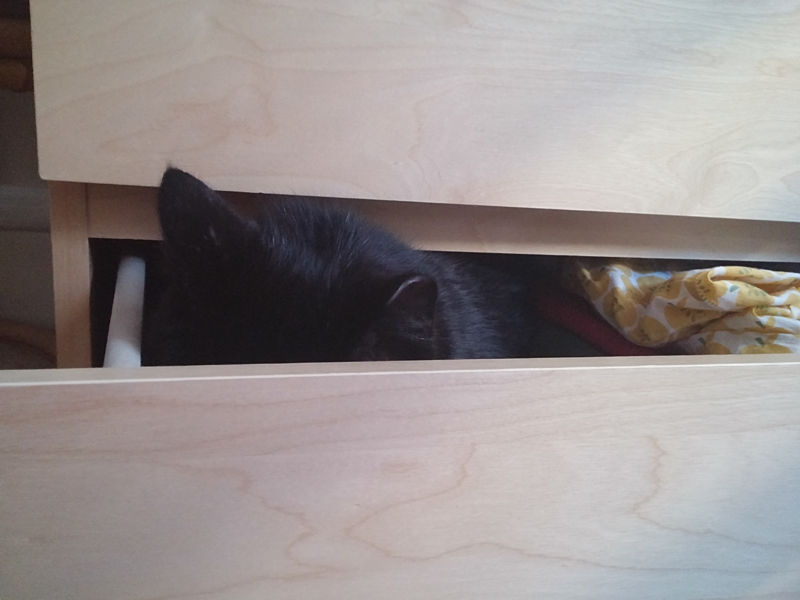 They actually like to climb up inside the dresser behind the drawers too and I am always worried they'll get stuck in there! They really do just get into all the nooks and crannies! Oh no! I'd be worried too! Thankfully, we don't have any tight spots where the boys can really get stuck.